the thaw: thaws do nz with strangers! 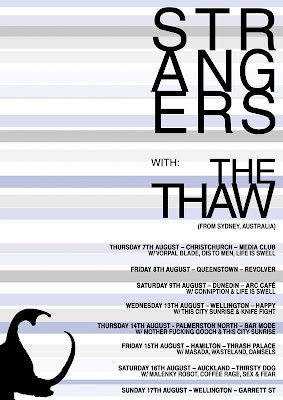 thaws do nz with strangers! if you're from nz - COME!! and if you have friends in the land of the long white cloud, tell em to come say hi to us. we'll be the three bundles of clothes huddled around the heat source, somewhat resembing humans. that is so awesome, congrats! you havta try 'Cookietime' cookies, they are the best thing to ever come from NZ..